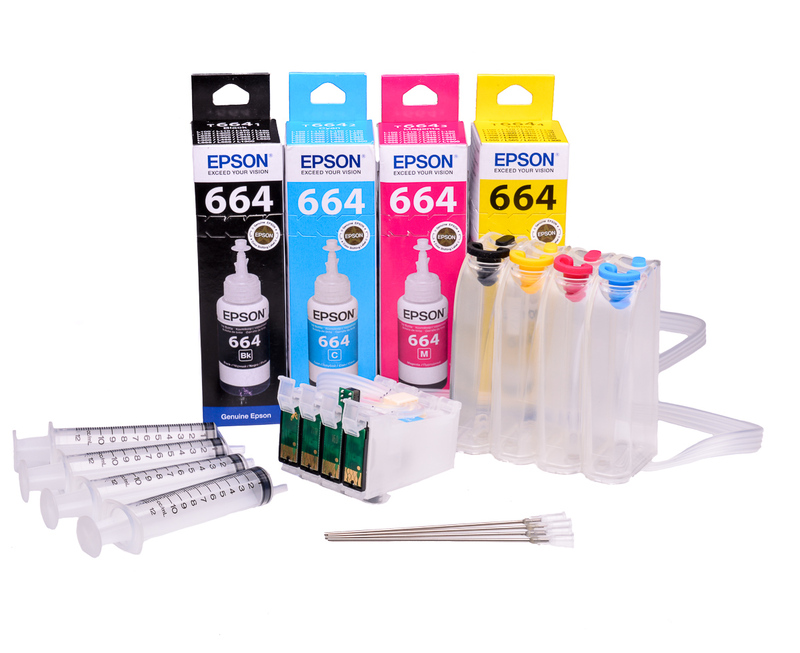 Comes complete with a massive 400ml of ink - equivalent in volume to 69 Epson DX5000 standard fill ink cartridges, with ongoing running costs of just £0.36 per cartridge, auto reset chips. 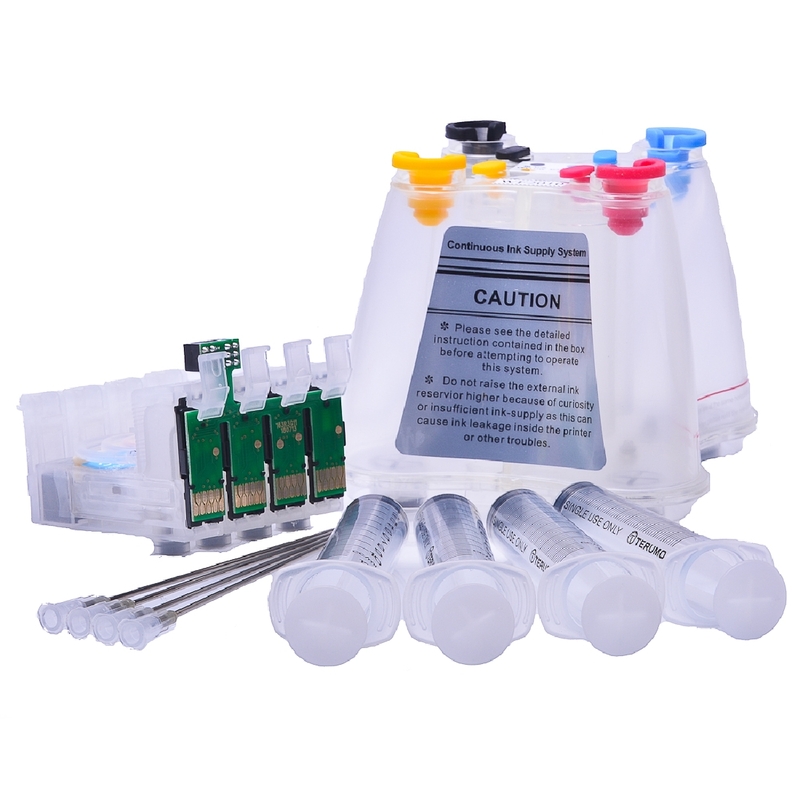 Please note our DX5000 ciss DX5000 ciss ink refills and DX5000 ciss spares are not made by Epson this is a registered trademark and we use the term for descriptive purposes only. they act as a bulk ink system ciss delivering the ink down the printer ink lines to your DX5000 ink cartridges, the DX5000 ciss printer ink cartridges insert into your printer as normal these are connected by tubes to external ink supply system reservoirs which sit at the side of your DX5000 printer replacing ink cartridge numbers T0711, T0712, T0713, T0714, T0891, T0892, T0893, T0894, . 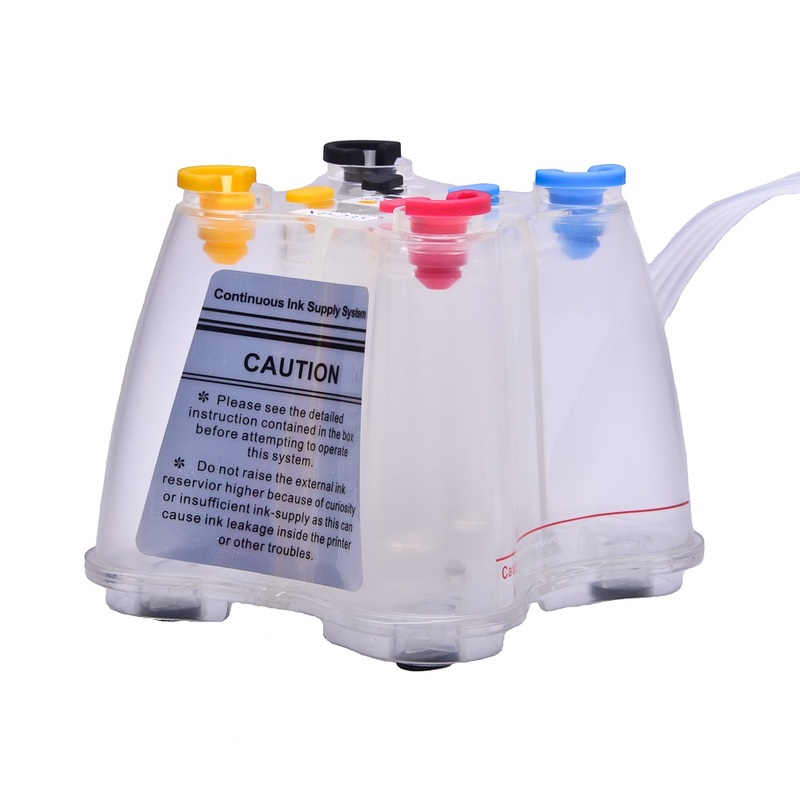 When the ink is used in the Epson DX5000 ink cartridge it is automatically topped up from the external ciss tanks. 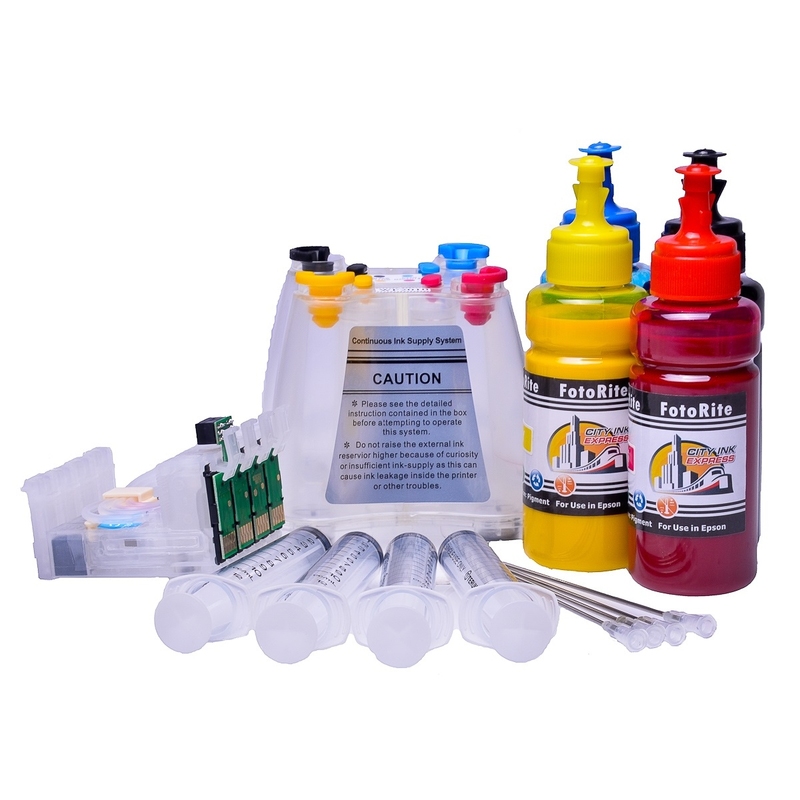 When the colour runs out on the ciss Epson tank you can buy bulk ink in a bottle to refill. The running costs work out at £0.36 per cartridge to run. 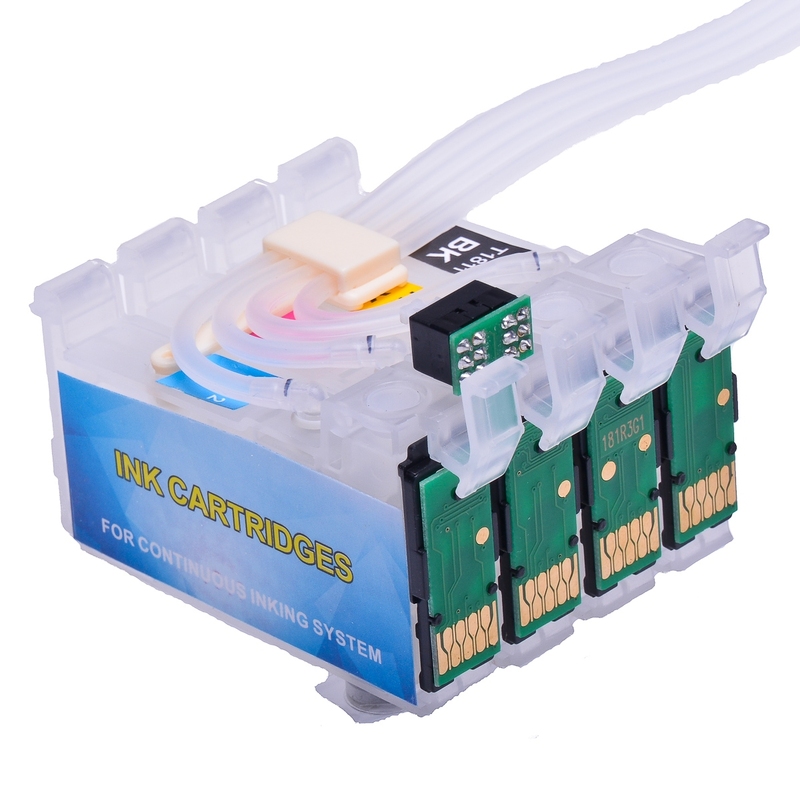 We offer a 12 month warranty on parts for our ciss solutions and lifetime warranty on technical support for the Epson DX5000 continuous ink system. In summary by purchasing this product you will get one of the best DX5000 printer ciss around for Epson printers that uses a high grade DX5000 ink, its a reasonably priced product and comes with 12 months peace of mind warranty. 14.3 Black, 18.2 Cyan, 18.2 Magenta, 18.2 Yellow = 69 ink cartridge in total. 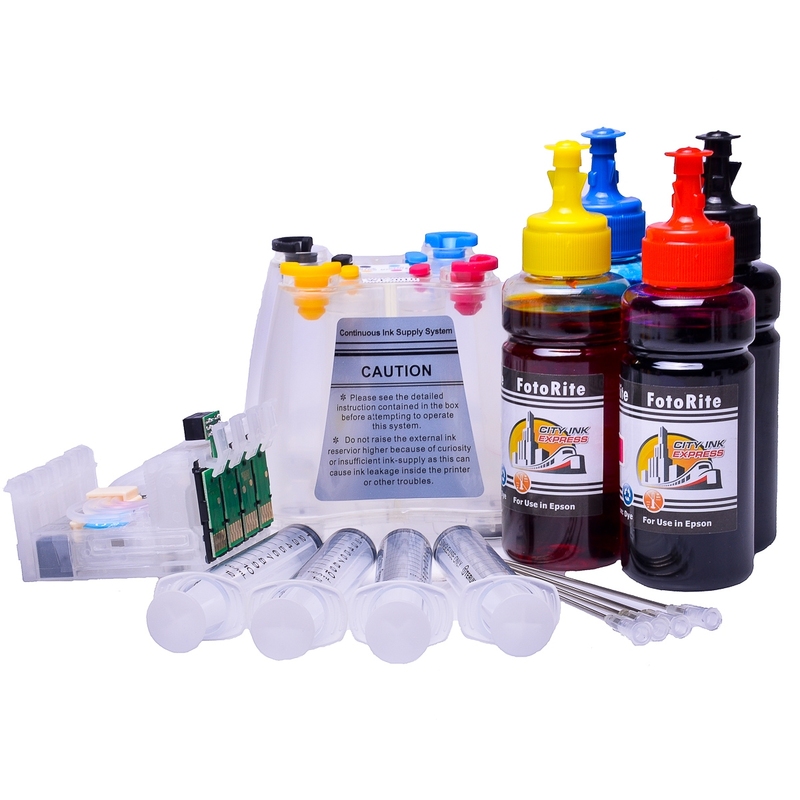 To fully refill the system with 400ml of ink costs under £24.72 which makes the running cost per ink cartridge less than £0.36 pence.